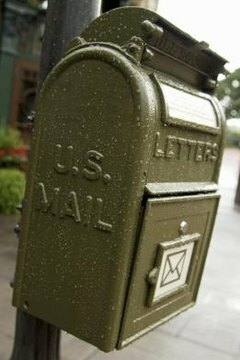 Failing to respond to a demand letter can lead to costly litigation. A demand letter is a clear indicator that another party is serious about pursuing a legal claim against you. Attempting to resolve the claim at this early stage can save you a fortune in legal fees. The settlement of the claim at this stage is going to be more to your liking than the result after a legal trial should you lose. Read the demand letter carefully. Decide what the sender is saying happened and how the sender proposes to resolve the claim. Look at the statute of limitations for your state to see if the sender is within the time limit to take legal action against you. Decide if you want to consult with a lawyer to determine if you should settle or dispute the claim. If you have any doubts about the merits of the claim or about the statute of limitations for the claim, you should consult with a lawyer before doing anything else, particularly if the claim is for a significant amount of money. Even if you believe a claim is legitimate and within the statute of limitations, you may not be liable and only a lawyer can advise you on the particulars of your specific situation. Decide if you wish to pursue a settlement regardless of your legal position to avoid the claim going to court. Begin any settlement discussions or correspondence with the words "without prejudice." These words clarify you are not conceding any of the facts or your liability in the matter in the event you cannot reach a settlement. Strider, Carol. "How to Respond to a Legal Demand Letter." , https://legalbeagle.com/5058839-respond-legal-demand-letter.html. Accessed 23 April 2019.